How is gastric bypass surgery done? Will my insurance cover gastric bypass? Who are candidates for gastric bypass surgery? What can I eat after gastric bypass surgery abroad? When can I start exercising again after gastric bypass surgery? 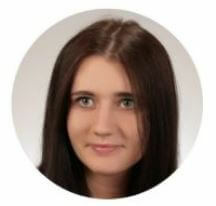 How long will I stay in the hospital after bariatric surgery in Poland? Do I need to take vitamins and minerals after gastric bypass surgery? What about scars following bypass surgery? Do most patients need to have plastic surgery after gastric bypass surgery? Is it possible to regain weight after gastric bypass surgery abroad? How long should I stay in Poland after gastric bypass surgery? Can gastric bypass cause elevated liver enzymes? Can Gastric Bypass cause liver problems? Can gastric bypass patients vomit? Can gastric bypass cause cancer / What are the cancer risks? Can gastric bypass cause Crohn’s disease? Can gastric bypass cause thyroid problems? Can gastric bypass cause cirrhosis? Can gastric bypass patients take ibuprofen? Can gastric bypass cause teeth problems? Why is gastric bypass surgery dangerous? Will Gastric Bypass help GERD? Will gastric bypass help PCOS? Will gastric bypass help diverticulitis? Will gastric bypass cure fatty liver? Will gastric bypass help gastroparesis? Will gastric bypass help ibs? Will gastric bypass help lymphedema? Will gastric bypass affect pregnancy? Will gastric bypass help constipation? Will gastric bypass cause diarrhea? Can I drink alcohol with gastric bypass? Can gastric bypass cause candy cane syndrome? How to stop losing weight after gastric bypass? Will I be able to keep food down after gastric bypass? Is it worth to have gastric bypass done? Can a hiatal hernia be repaired with gastric bypass? Is gastric bypass the same procedure as Roux-en-y? Can the gastroparesis be caused by gastric bypass? Can I have gastric bypass being alcohol addicted? Can I have gastric bypass if I take anti-depressants? Can smokers have gastric bypass? Will I have a dumping syndrome after gastric bypass? Can I have gastric bypass having hypothyroidism? Can gastric bypass cure hypothyroidism? Will I have gallbladder disease after gastric bypass? Will gallbladder be removed during gastric bypass surgery? How long does it take to recover after gastric bypass? 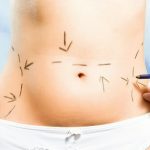 Is tummy tuck necessary after gastric bypass? Gastric bypass surgery is a surgical procedure that is performed to treat obesity. During the surgery, surgeon divides the stomach into two parts. The upper one which is smaller and the lower which is bigger. Then the surgeon rearranges the small intestine in order to reduce the functional volume of the stomach. As a result, you feel full sooner after eating and eat less. The surgery can be open or laparoscopic. Today, most doctors use laparoscopic surgery as it is less invasive and as effective as open surgery. Laparoscopic surgery is performed using several small incisions in the stomach of the patient. The surgeon views his operation on the screen. The surgery is divided into two steps. During the first, the surgeon divides the stomach into two parts and with surgical staples creates a “wall” between them. The next step is when the surgeon rearranges the small intestine. If the insurance can cover your surgery or not, depends on your insurance plan. You should contact your insurance company and ask them to provide you with all the information. The one who has a BMI (body mass index) of 40 and more can consider having gastric bypass surgery. If your BMI is lower but you have serious health problems related to obesity, you can also have gastric bypass done. If you are a candidate for the surgery or not can be decided only after the consultation with the doctor. Studies have shown that bariatric surgery is much more effective than drug therapy alone and 80% of patients experience remission after gastric bypass surgery, which means that the patient blood sugar levels return to normal and there is no need for diabetes medications. But as diabetes is not well understood there is a possibility that if the factors causing the disease return to a degree sufficient it can cause a relapse. Most patients lose 60–80% of excess body weight. The amount of weight you will lose depends on different factors such as your age, gender, and starting body mass index. If you want to make the surgery a success you should change your lifestyle. It depends on what type of work you have. Generally, doctors advise to take 2 weeks off, but if you have a physically demanding job you might need to take more. If your doctor is a professional and you follow all his instructions there is no reason to worry. After the surgery your portions must be small, you should eat a lot of protein and drink a lot of water. For the first two weeks, all of the food must be blended. Exercising is an important part of your recovery. As soon as you can move we advise you to start walking, but for the first 6 weeks, you should avoid lifting heavy objects. The doctor will give you all the specific information about physical activity after the surgery. The most important are to listen to your body and in case you feel pain stop exercising and contact the doctor. Even though few hours after laparoscopic gastric bypass surgery, most patients can walk, it is advised to stay for about two days in the clinic so that the doctor will be able to see how the healing goes. Yes, because after gastric bypass surgery in Poland the body will have difficulty absorbing certain important vitamins. You should be ready that after gastric bypass surgery, you need to take vitamin and mineral supplements for the rest of your life. Scarring is minimal. The incisions that will be made are 0.5 cm wide and are normally healed in 10-14 days. Plastic surgery might be needed if you have a lot of excess skin. The amount of skin depends on your weight loss, age, and habits. After gastric bypass surgery, a lot of patients come to Poland to have plastic surgeries done such as tummy tuck Poland or belt lipectomy Poland. Yes, it is possible if you return to old eating habits. Gastric bypass surgery is done to help you start a new life, but if you eat junk food and don’t bother being physically active no surgery can help you. If you chose to have gastric bypass surgery in Poland you should stay in the country for at least 1 week. For the 2 days, you should stay in the clinic, the rest of your stay you can spend in the hotel. Before going home the doctor will give you his contact information so you will be able to contact him. offers you our all-inclusive package which covers consultation, medical tests, surgery, stay in the clinic, hotel stay, and transfers during your stay. Ulcers at the gastrojejunal anastomosis (connection between the gastric pouch and the small intestine) that is not healing or is turning back. This is a case with a patient that starts smoking after the procedure, however, usually, the ulcer can be healed with medications and rarely due to surgery. Psychological issues – a complete change of lifestyle after the surgery may cause problems in adjusting to life after the gastric bypass and some patients may become a danger to themselves. No, on the contrary, Bariatric surgery associated with a significant and sustained decrease in body weight result decreasing in ALT and AST. Those two enzymes are reduced after the surgery and a continuous reduction is associated in ALT levels with increasing weight loss. On the contrary, the data suggest that bariatric surgery has a long-term protective effect against chronic liver damage and it significantly reduces liver enzymes. In fact, it’s scientifically proven that gastric bypass causes regression in nonalcoholic fatty liver disease in morbidly obese patients. Yes, it’s pretty common for the first few days after the surgery to suffer from nausea. The risk of cancer after gastric bypass is unknown, as only a few studies have focused on the subject and diagnosis is complicated. In most cases, the cancer is diagnosed at advanced stages of the disease. However, in recent studies it is concluded that gastric bypass resulted in the largest risk reduction (84%) for hormone-related cancer – the negative side is that bypass is associated with an increased risk of colorectal cancer. There is a speculation that in patient’s genetically predisposed to Crohn’s, the anatomic changes after gastric bypass surgery promotes a bacterial milieu triggering chronic intestinal inflammation which then results in Crohn’s disease. It’s recommended that gastric bypass should be avoided in patients with known Crohn’s disease. Many patients undergoing bariatric surgery have thyroid problems in the first place. The surgery can actually improve thyroid function and cause reduction of thyroid medication dosages. No, you cannot take ANY kind of Non-Steroidal Anti-Inflammatory Drugs (or so-called NSAID), as they cause an ulcer in your stomach pouch. If you need a painkiller DO NOT take Aspirin, Advil, Motrin, or Aleve. You CAN, however, use Tylenol, which is acetaminophen. At the moment there is no research available discussing the effects of bariatric surgery and tooth decay. You should, however, keep in mind the importance of vitamin and mineral supplementation to avoid any deficiencies. Gastric bypass is one of the most recommended and safest bariatric surgery available. There are some post-op risks associated with ANY kind of abdominal surgery, i.e. excessive bleeding, infection, adverse reactions to anaesthesia, blood clots, lung or breathing problems or leaks in your gastrointestinal system. However, the benefits are much greater and it’s not only the weight loss but also the reduction of many obesity-related conditions such as type 2 diabetes, sleep apnea, infertility or high blood pressure. Yes, it definitely will. Gastroesophageal reflux – GERD or acid reflux – occurs when the contents of the stomach are returned to the esophagus resulting in either symptoms or complications. Among the symptoms is the taste of acid in the back of the mouth, heartburn, bad breath, chest pain, vomiting, breathing problems, and wearing away of the teeth, while the complications are esophagitis, esophageal strictures, and Barrett’s esophagus. Gastric bypass alleviates GERD. During the surgery, a very small upper stomach (the pouch) is created that has very few cells that can produce acid, so the acid producing portion of the stomach is disconnected from the esophagus. Yes. As metabolic syndrome and obesity coexist commonly with PCOS, gastric bypass surgery may help significantly in fighting them. While losing weight will not cure the PCOS, it may restore a regular menstrual period and reduce the severity of the symptoms. Many women experienced decreases in both ovarian volume and markers of androgen excess. Gastric bypass also seems to be effective at reversing the insulin resistance, a significant problem for women with PCOS. Yes, as losing weight whether through diet and exercise or surgery will improve symptoms of diverticulosis. Most cases of simple diverticulitis respond to conservative therapy (diet and antibiotics) with bowel rest. It’s scientifically proven that gastric bypass causes regression in nonalcoholic fatty liver disease in morbidly obese patients. New studies show that gastric bypass is a safe surgical treatment for gastroparesis in obese patients. Gastroparesis symptoms improved after the surgery improvement or significantly decreased after bypass. Patients taking prokinetics preoperatively no longer required their medication after surgery. Most patients suffering from Irritable Bowel Syndrome (IBS) find that after they undergo bariatric surgery, their IBS improves and the symptoms are greatly reduced. No, it may help you to lose weight, but lymphedema occurs when lymph nodes are damaged or removed and by that causing inability of proper drainage of lymph from arms and legs. This is causing swelling (edema) and other complications. Lymphedema is chronic so there is no cure only treatment and management. The studies show that the pregnancy after gastric bypass can be safe and healthy if managed well. In fact, pregnancy after weight-loss surgery might be safer for both mother and baby than pregnancy complicated by obesity. You will definitely need to consult your GP and probably you would have to get a higher amount of supplements, such as folic acid, vitamin B-12, vitamin D, iron and calcium, in addition to a daily prenatal vitamin before and during pregnancy. Diarrhea is also a common side effect of gastric bypass surgery, yet for the majority of the patients, diarrhea is only a mild inconvenience. There are various ways of combating this issue for example taking Isodium before bedtime, probiotics or some antibiotic. After gastric bypass the absorption of alcohol and/or metabolism is altered so that sensitivity to alcohol is increased. More than 95% is bypassed, therefore alcohol passes first directly to the pouch into the intestines where is rapidly absorbed. Therefore it is not recommended to drink alcohol, as it may increase the risk of alcohol use disorder. Yes, it’s one of the possible complications after the procedure. A long, nonfunctional Roux limb tip may cause nausea, postprandial epigastric pain and a lack of satiety. “Candy cane” syndrome can be managed by resection of the blind afferent limb and the surgeons should attempt to minimize redundancy in the Roux limb during the primary procedure to avoid the syndrome. You should make blood tests and screenings first, maybe you are lacking some mineral or vitamins. Also, to stabilize the weight is to eat more: greater quantities of and more frequent meals of higher calorie foods – make sure that you are eating at least 80 to 100 grams of protein daily and asked dietician for help in making the proper diet. Yes, however straight after the surgery some nausea and vomiting may be expected. There are some things you can do to lessen it. First, eat slowly and chew your food properly. You won’t be able to eat much and denser the food you eat (like chicken breast), the quicker you become full than when you eat something liquid in consistency. You should also follow the diet prescribed by the dietician, but in general may go from liquids to pureed food to soft, and finally start eating regular food. Gastric bypass patients may also experience dumping syndrome by eating foods high in sugar or fat. Yes, it has the least amount of complications and it may alter your life significantly. 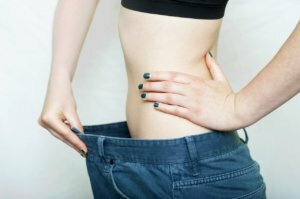 You must remember before considering the procedure, that no matter which weight loss surgery you choose, this procedure will be a first step in making big changes to your lifestyle. The bypass is very effective at reducing the impact of many obesity-related conditions such as type 2 diabetes, sleep apnea, and heart disease. You must remember that the surgery is, in fact, an addition to diet and exercise. The activities you enjoyed prior to surgery may not be activities that you continue to participate in after surgery – it may impact your social life considerably. The surgery will not magically solve your social or emotional problems and make life better, even with weight loss you still may have them. Also, after losing a lot of weight, you may not like what you see in the mirror, as there’ll be a lot of extra skin left. You must be also very careful about drinking alcohol, as you may get addicted easily and stop smoking, as you will be more prone to ulceration. Yes, it is. However, as every major surgical procedures can pose serious risks and side effects. Also, the patient considering it must be fully committed to make permanent healthy changes in diet and start regularly working out to ensure the long-term effects of the surgery. Yes, the procedures can be combined. As the studies show, the hernia should be repaired for appropriate pouch sizing and to minimize long-term complications of gastric bypass. Gastric bypass is the same procedure as Roux-en-Y. The procedure is usually made by rearranging small intestine into Y-configuration by dividing approximately 45 cm (18 in) of small intestine below the lower stomach outlet, enabling outflow of food from the small upper stomach pouch via a “Roux limb”. Gastroparesis is a rare complication of gastric bypass, the main cause is gastroparesis is diabetes. No, you cannot. Being an addict is one of the contraindications for the surgery. Yes, it’s not a contraindication for the surgery. However, there is no indication that the surgery helps with fighting depression. Studies show that antidepressant usage did not decrease in the majority of patients after gastric bypass. You can, however, you should quit at least 6 weeks before the surgery and under no circumstances you should smoke after the procedure. Smoking is one of the worst things patients can do after weight loss surgery, due to the high risk of ulceration of the stomach. Yes, you might have it. Dumping syndrome occurs when food gets “dumped” directly from your stomach pouch into your small intestine without being digested. It can happen almost immediately after the meal – from 10 to 30 minutes (early dumping) or from 1 to 3 hours after eating (late dumping). Dumping syndrome can have different symptoms, i.e. abdominal cramping, fast heartbeat, lightheadedness, and diarrhea. It happens pretty often, at least 3 out of 20 patients may have it. The main treatment for dumping syndrome is changing in the diet. Gastric bypass has a favourable effect on patients with the hypothyroidism, such as improvement of thyroid function and reduction in dosage of thyroid medication. No, but it has a good effect on patients. It improves the function of the thyroid and as a result the patients need smaller doses of thyroid medications. It may be possible, Gastric bypass carries a high incidence of gallstone formation postsurgically. Both obesity and rapid weight loss – an aim of any kind of bariatric surgery – are risk factors for the formation of gallstones. It’s said that even 35% of patients after gastric bypass may develop gallstones. Many bariatric surgeons often put patients on a course of a preventative medication. As studies show, the formation of gallstones after gastric bypass is pretty common. It seems reasonable to perform cholecystectomy (the removal of the gallbladder) during gastric bypass surgery in the presence of cholelithiasis or after this procedure if gallstones develop. Typical gastric bypass surgery is done by laparoscopy, meaning that the surgeon makes small cuts to perform the surgery. That results in a shorter recovery time – stay in the hospital 2 to 3 days after the procedure and most of the patients get back to normal activities in 3 to 5 weeks. If you are very obese, the answer is yes, as there will be an excess of skin after you lose your weight. Unfortunately, this extra skin won’t shrink and cannot be reduced just by exercising. If your BMI is 50 or over the surgery may be considered without needing to try other weight loss methods first.